A portfolio of industrial/logistics assets managed by Altis Property Partners AREEP II portfolio is to be sold, offering a unique portfolio of assets located predominantly in New South Wales with assets also in Victoria and Queensland. Comprising nine assets, seven of which are across Sydney with the remaining two in Port Melbourne and the Port of Brisbane, the portfolio spans a total building area of 138,707sqm. All assets are located in core in markets where limited land supply makes such opportunities rare. Good access to infrastructure and strong prospects for future capital and rental growth will make these assets highly sought after according to the selling agents, Gavin Bishop and Roger Miller of Colliers International. “The WALE is 6.4 years and the average building area is 15,412sqm, which will appeal to domestic and offshore institutional investors together with privates,” said Mr Bishop. With a fully-leased net income of more than $18.7 million per annum, the tenant profile includes some of Australia’s most famous names. 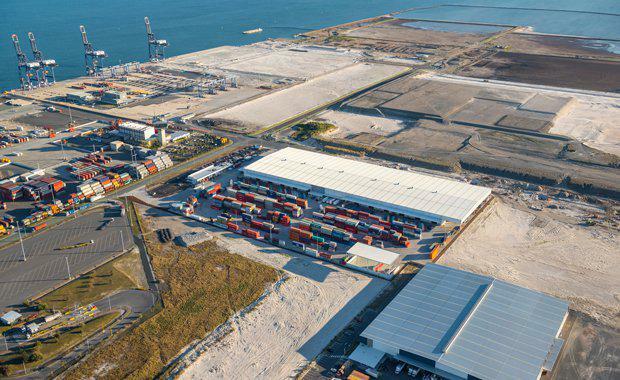 “The portfolio is 99% leased, and tenants include names like Boral, Yates, and GM Holden, along with several freight and logistics operators, such as ACFS Port Logistics,” said Mr Miller. The portfolio will be sold via an International EOI closing on 8 April, and is expected to sell in excess of $285 million. Main Image: A Port of Brisbane industrial site is included in the heavily NSW-rich portfolio of industrial property being marketed by Colliers International.